Think all Italian food is pizza and pasta? Think again. We take a look at ten incredible artistic recipes from the country's best Michelin-starred chefs. 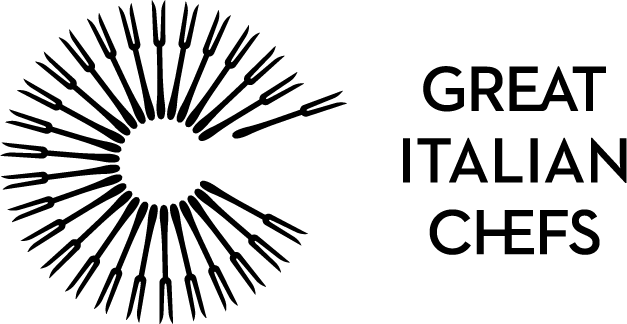 Italian food can be one of the most diverse cuisines in the world. At one end of the spectrum you have beautiful, simple dishes such as fresh pasta cooked in olive oil and garlic with a touch of salt, while at the other end you have big bold abstracts of colours and flavours plated in the most inventive and artful ways. This list focuses on the latter – we’ve trawled through all our amazing recipes and hand-picked ten of the most creative, vibrant and stunning examples we could find. This dessert by the Costardi Brothers is, quite simply, a work of art. 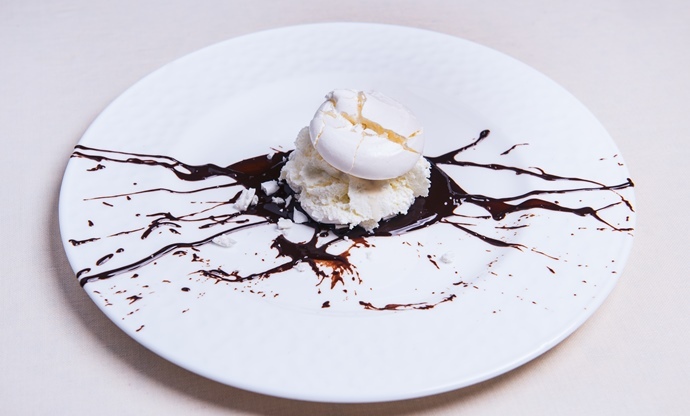 Each element on the plate is seemingly straightforward, but the interesting use of liquid nitrogen for the ice cream and the clever plating makes it as intriguing to look at as it does to taste. With the addition of salt and black pepper the dessert is taken to another level, infusing a balance of flavours that are both unusual and extremely pleasant in a sweet dish. 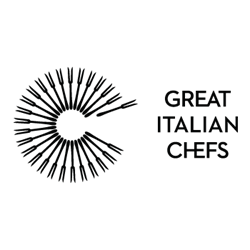 The Costardi Brothers are known to take traditional Italian ingredients and breathe new life into them using modern culinary techniques – something that they’ve clearly achieved with this ‘abstract-impressionist’ plate of food. Fabrizio Marino’s salad, inspired by one of nature’s most beautiful insects, is just the prettiest plate of food. At first glance, the dish seems as if it’s only made using a few simple ingredients, but in actual fact there a number of components on this plate that make it a far more complex recipe. 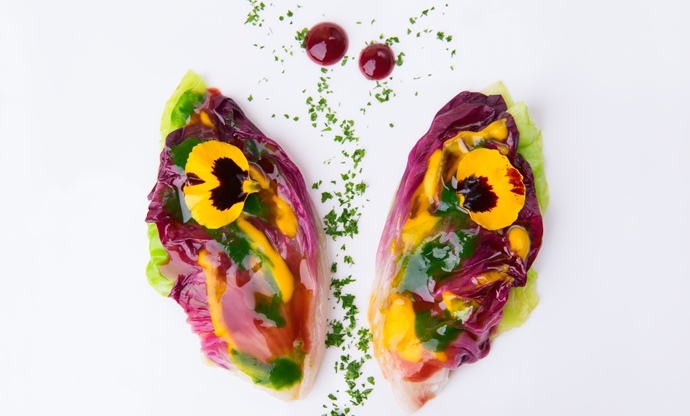 The striking colours on the ‘wings’ are actually a tasteful combination of carrot puree, green leaf cream, red wine reduction and almond and beetroot mayonnaise, while radicchio is used for the actual wings. Fabrizio manages to accomplish sheer perfection with this stunning and delicious dish. If this plate was a painting in a gallery, critics would be talking about how well it represents the artist’s emotions. The striking contrast of colours is what makes this simple cheesecake and berry sauce recipe a distinct and beautiful dish. 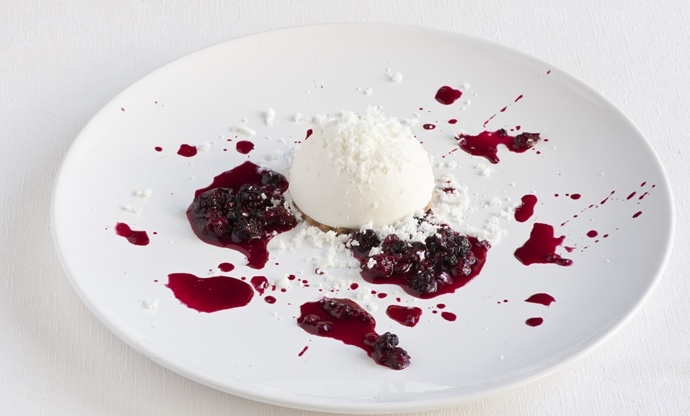 Rosanna Marziale uses mozzarella rather than the more commonly used cream cheese, giving her dessert a much richer texture and unique flavour. Known as ‘The Queen of Mozzarella’, Rosanna has certainly done the cheese justice. Cleverly named and plated, this dessert gives all the impressions of a savoury dish. 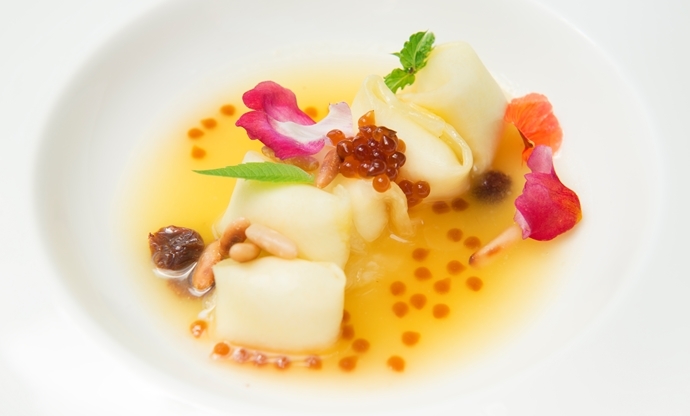 Stuffed pasta in brodo (broth) is a typical Italian starter, but what Aurora Mazzucchelli – an extremely innovative and experimental chef – has done is create a beautiful dessert that’s inventive and playful. A combination of bright sunny colours, interesting textures and refreshing flavours is what makes this dessert all the more stunning. Teresa Buongiorno manages to achieve an exceptional level of elegance with this dish, all the while keeping it modern and remarkably striking. 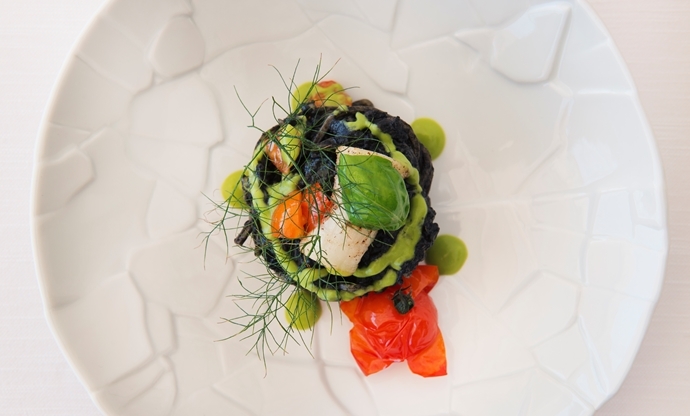 She pairs tagliolini – a cylindrical flat pasta from Emilia-Romagna – with cuttlefish ink ragu, which gives the dish its bold black colour and contrasts with the vibrant greens and reds. The clever placement of dill is what takes this dish to another dimension, lending a natural, almost forest-like finish to the plate. This dessert by Giuseppe D’Aquino gives absolutely nothing away, yet has the most stunning and elegant presence on the plate. 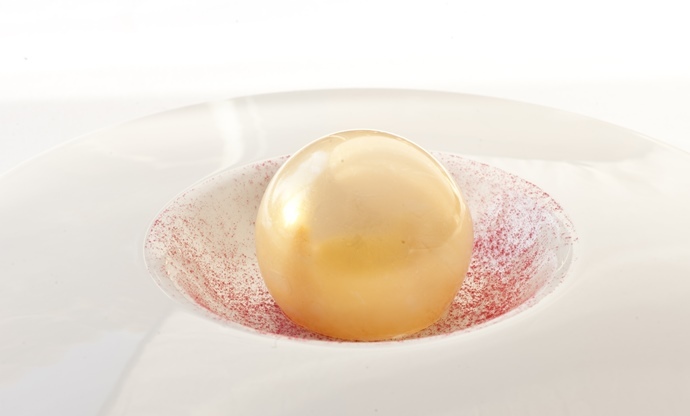 A vibrant dehydrated raspberry powder dusts the bottom of the dish with the beautiful pearlescent sphere taking centre stage, which gives off an intriguing air of beauty. The chef uses specialist sugar blowing equipment to make the spheres in the same way a glassblower might make orbs out of molten glass; a very technical and challenging process, even for a Michelin-starred chef. This simple salad of asparagus, spinach and carrot has been transformed into the most spectacular starter. 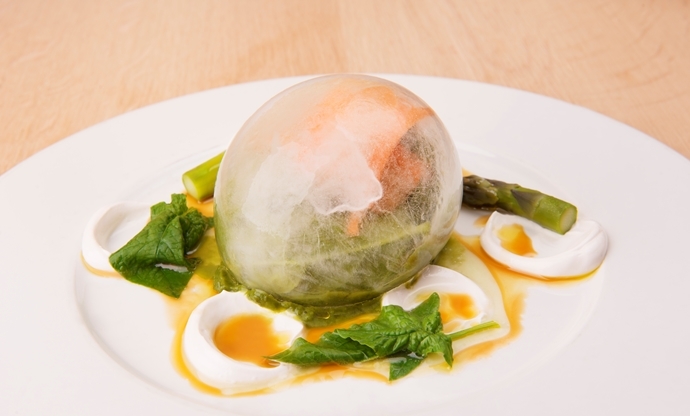 The hollow ice ‘egg’ designed to encase the dressed vegetables gives a very dramatic, naturalistic effect. Fabrizio Marino’s stunning dish is a tribute to chef Tetsuya Hasegawa, who educated him about the use of natural elements in food, thus inspiring this creative presentation. The lovely green and yellow colours on the plate, contrasting with the cool effect of the ice, is reminiscent of a beautifully crisp spring morning, which is a true appreciation of chef Tetsuya’s teachings. Ernesto Iaccarino’s playfully titled dessert is an ultimate celebration of the wonderful lemon. Every element on the beautiful leaf-shaped plate is infused with zesty citrus flavours; there’s a lemon custard filling, lemon cream, lemon caramel and a lemon fritter, all served in a whole hollowed out lemon. The most striking part of this dish is the lemon caramel shard that sits at the very front of the plate, giving the very natural looking dessert a modern, abstract edge. As the title suggests, this dish looks just like an abstract painting. The starter is presented on a square plate, in a square shape with a square border around the edges, as if it’s ready to be displayed in a gallery. 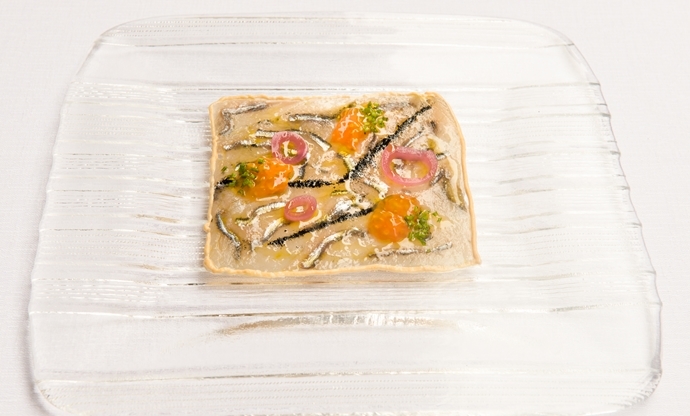 The pungent flavours of fresh anchovies, squid ink, bottarga, tuna and even sea water coincide perfectly with the brilliant use of a transparent plate, making it seem as if the anchovies are still swimming around in the ocean. Chef Pino has managed to capture a playful yet authentic essence of the sea. Another recipe from Fabrizio Marino that looks deceptively simple but actually takes a lot of skill and a delicate touch to put together. 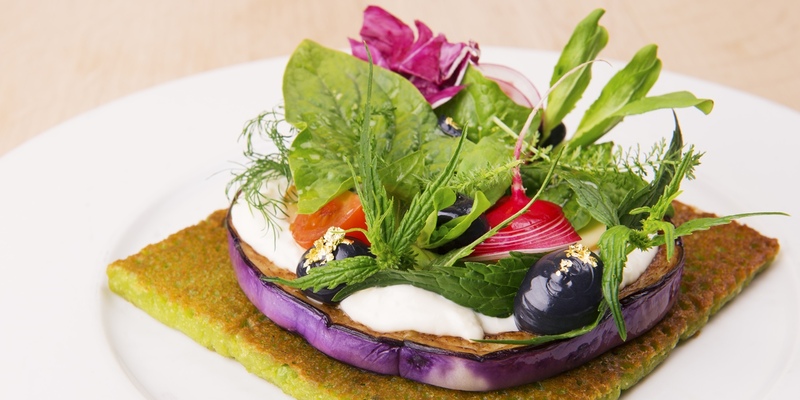 The dish itself resembles a blooming and vibrant garden rather than a pizza, as the chef uses leafy radicchio, long salad leaves and colourful radishes to create an organic, natural effect. 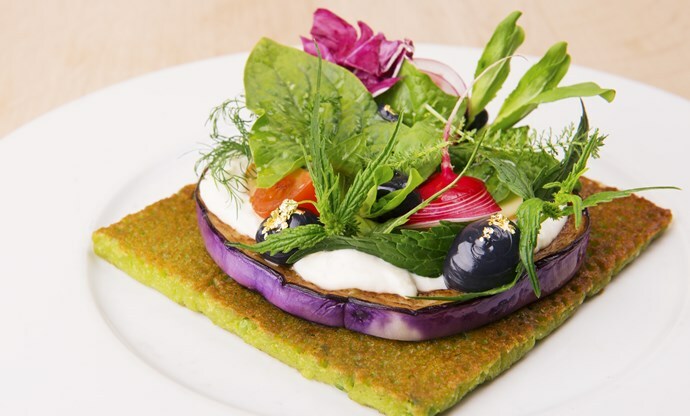 The aubergine slice sits on a moss-like wafer, enhancing the wild garden image, which adds yet another dimension to this breath-taking starter. 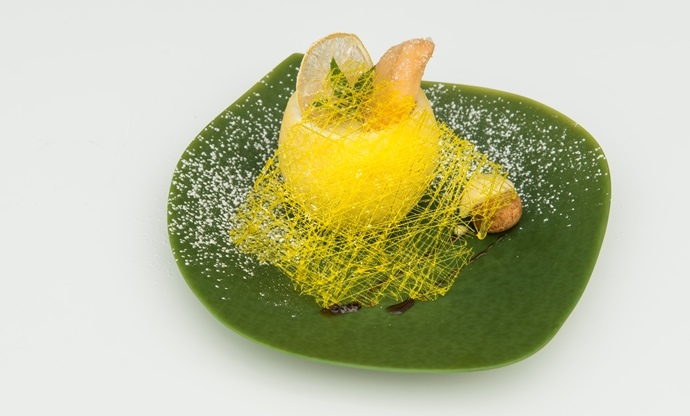 A beautiful vegetarian dish created by Italy’s only Michelin-starred vegetarian chef.